Did you know that cheap healthcare websites may be upsetting Google and other search engines? A low-cost, template or D-I-Y website isn’t a bargain. It costs money and lost opportunity. Google, the biggest search engine on the planet can spot duplicate content, and it doesn’t like plagiarism. A bottom-dollar website puts your search listing in the toilet. Usually, the practitioner/owner of the low-cost website isn’t even aware of the plagiarism. They purchase a website thinking this is a quick, easy and cheap digital marketing “solution.” In fact, the website is simple and the appearance is great, but it really is just a waste of your money. On the surface, the website has a strong visual appeal. But beyond that, there is little or no Search Engine Optimisation. SEO does the heavy lifting of reaching and attracting new patients. It may turn out that other health practitioners purchased the same template website, including duplicate content. The Google search algorithm that reviews sites also detects the unwelcome duplicate content. Offending websites will not appear high or at all in page rank position. It may be a matter of semantics, but Google says it doesn’t have a penalty for duplicate content. In fact, duplicate content always ranks unfavourably against original content. 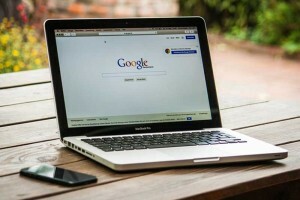 Google’s intent is to reward unique, authoritative content in healthcare websites for practitioners. The greater reward is reaching prospective new patients. The healthcare practice that opts for a “low-cost” website inadvertently buys an “ineffective” website. What’s more, unoriginal and unimaginative content brings little or no value to users, readers or prospective new patients. Poor quality or “thin” material, including duplicate content, works against success. If this sounds familiar, you are upsetting Google. It’s unhealthy to have one of those cheap-and-quick healthcare websites for practitioners. Talk to us, and we’ll help you get a fresh and more productive start on a site that works for you. We’d be happy to conduct a website review and to recommend how to improve your rapport with Google and the search engine results pages.